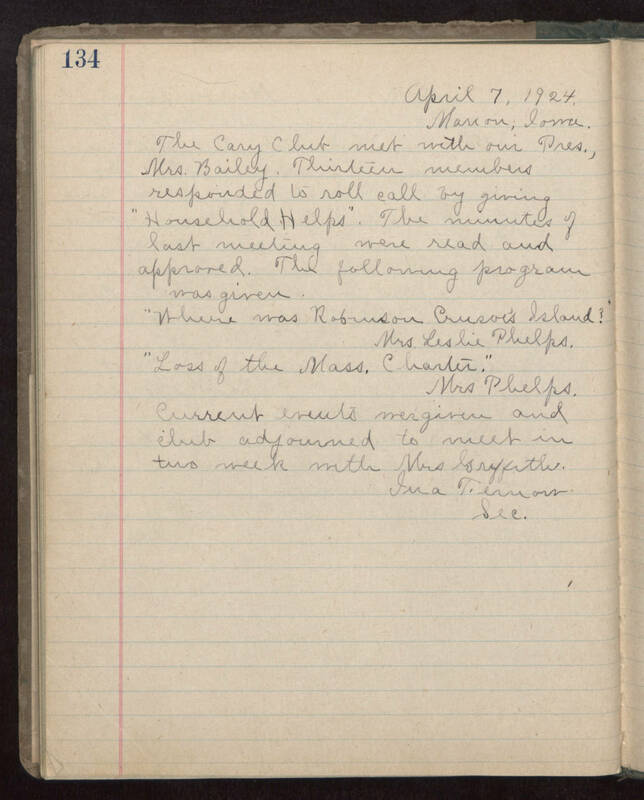 134 April 7, 1924. Marion, Iowa. The Cary Club met with our Pres., Mrs. Bailey. Thirteen members responded to roll call by giving "Household Helps". The minutes of last meeting were read and approved. The following program was given. "Where was Robinson Crusoe's Island?" Mrs Leslie Phelps. "Loss of the Mass. Charter." Mrs Phelps. Current events were given and club adjourned to meet in two weeks with Mrs Griffiths. Lina Fernow Sec.